I’ve been drinking this stuff since my teen years. It was always a great drink to take on my early morning commute to school, and it got me through many college lectures! 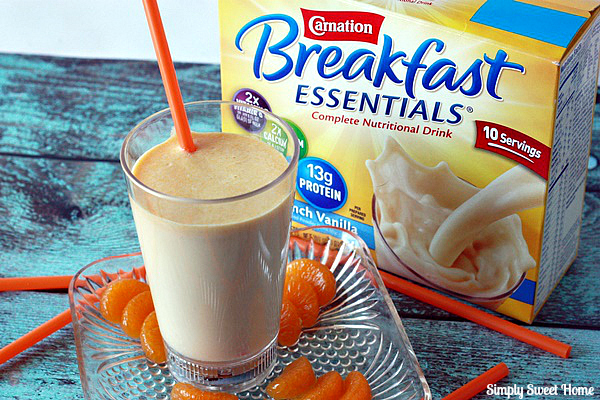 Back then I primarily bought the chocolate flavored and simply added it to milk, but now I love using the Carnation Breakfast Essentials as a base for shakes and smoothies. By adding a simple ingredient or two, I’ve come up with some really yummy flavor combinations that make for a light, yet filling breakfast that any girl can enjoy. 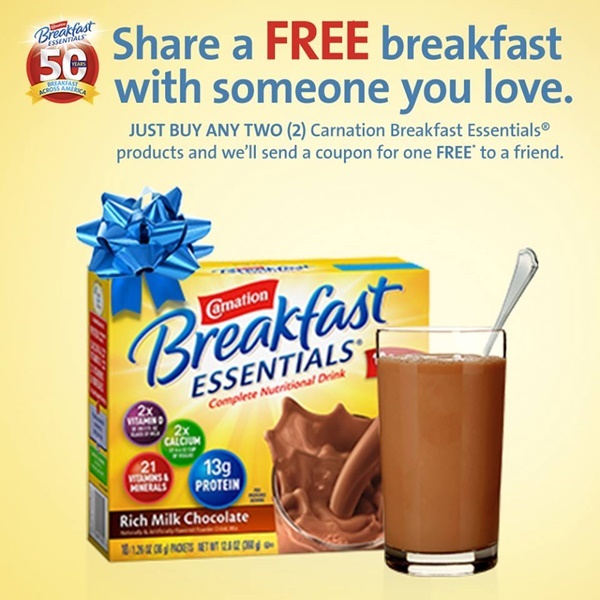 Carnation Breakfast Essentials is currently celebrating their 50th anniversary, and they’d like you to join the party and celebrate 50 years of breakfast! When you buy any two packages of Carnation Breakfast Essentials® products† and text or email in your receipt, they will send a coupon for a FREE* package to someone you love. 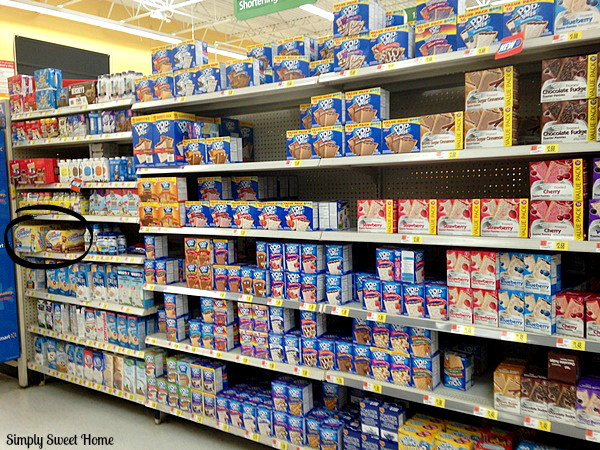 And they will email you a coupon for $1.50 off your next purchase of two Carnation Breakfast Essentials® products! 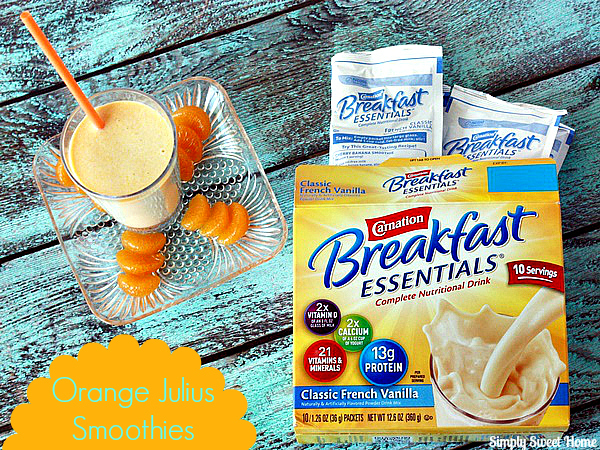 Visit the Carnation Breakfast Essentials site for more details. Now that school is out, you may be looking for some shakes and smoothies that both mom and kid friendly. Well, today you are in luck! I’ve got just the thing, an Orange Julius Smoothie. 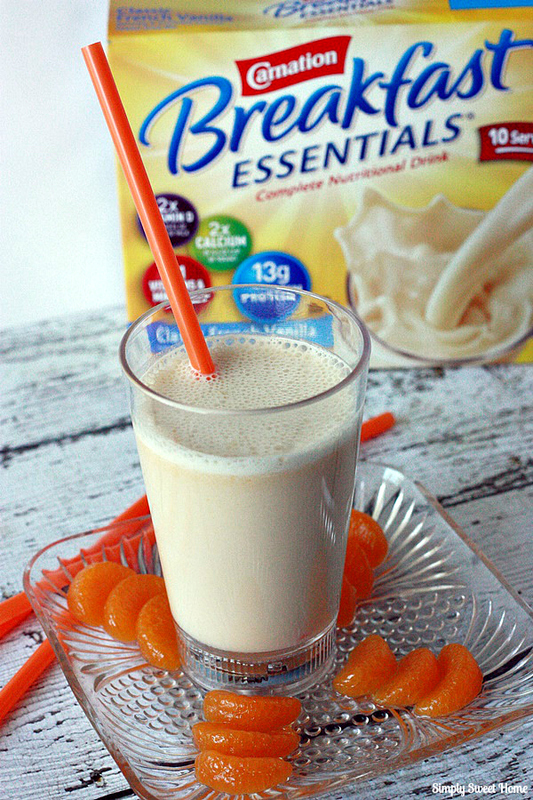 Not only will the kids love the taste, but you will love that it is just 3 ingredients and it is just 185 calories and has 23.5 grams of sugar per serving. It is definitely a great way to start out the day, whether you work outside the home or you’re sitting in home office getting ready for a day of blogging! 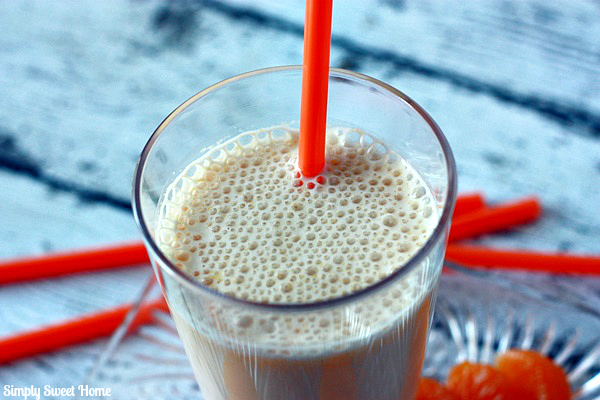 Pour one cup of milk in to a blender. 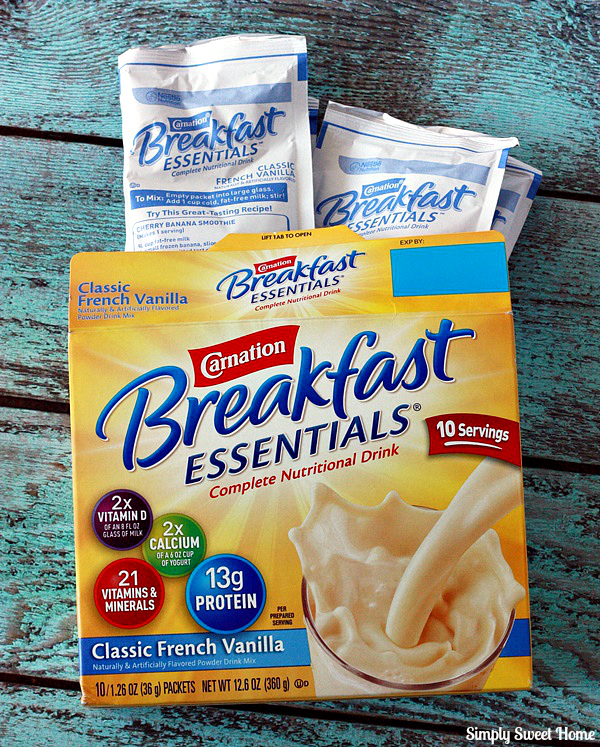 Add sleeve of French Vanilla Carnation Breakfast Essentials. Then add a 4 ounce mandarin orange cup. (Use the oranges in 100% fruit juice, not syrup. Do not drain.) Blend and serve. Makes 2 small smoothies. Do you love smoothies? Please leave a comment telling me or favorite smoothie, and if you have a recipe, I’d love for you to share the link! Mmmm, I could go for one of these right now! Sounds delicious! Thanks for sharing at Merry Monday, and can’t wait to see what you link up this week!